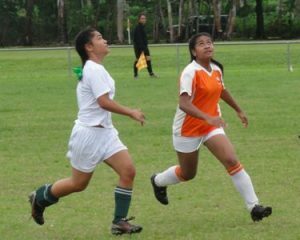 TongaFootball > News > 2011 High School Championship > Tonga’s 2011 High School Tournament kicks off. 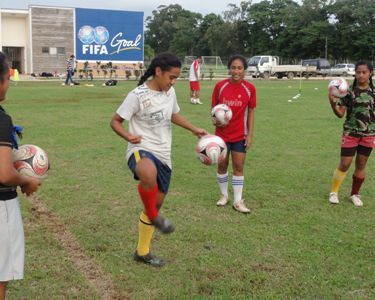 Tonga’s 2011 High School Tournament kicks off. Initially booked for 20 May 2011, bad weather conditions forced the tournament back. But with the beginning of the tournament schedule to kick off this afternoon, Loto Tonga Soka Center will come alive every Friday afternoon with school battling out the 2011 Championship. At the close of registration, a total of 13 schools around Tongatapu have registered 47 teams, of which 26 are women teams. The 2011 High School Competition is made up of four divisions for boys and girls, Under-13, Under-15, Under-17 and Under-20 divisions. The tournament is based on a round-robin system, culminating with the top four (4) teams playing off for the top spot over nine (9) weeks with a total of 42 matches. Last years champions, Tonga College, will look to repeat history with a clean sweep of all boys division but ‘Api fo’ou college and Tailulu College will be more determined than ever to make their presence known this season. The tournament will be officially opened with a thanks-giving prayer at 12noon, local time.